Entrepreneur Personality: Everyone who starts a new venture wants the keys to startup success. Many people think there’s a special ‘entrepreneur character’ you should have for startup success, but that founders don’t have time for psycho-mumbo-jumbo! Oh, really? Actually, there is one means of knowing more about yourself and the personal characteristics that may influence the way that you approach the creation of a new venture, as well as understanding why people do what they do. Called the Myers Briggs Type Indicator® (MBTI), or personality type, it was developed on the base of work by Carl Jung, the revered psychologist. 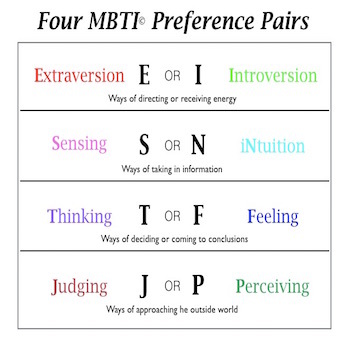 The MBTI analyzes your psychological preferences and comes up with four preference pairs, for how you tend to interact with the world around you. It does not say any one type is essential for startup success. Nonetheless, many so-called specialists consider that the ‘best’ type for being an entrepreneur is an ENTP (an Extraverted, iNtuitive, Thinking, Perceiving type). But don’t let this kind of prescription fool you. There are entrepreneurs of all types (and different genders, racial origins, sizes, shapes). Personally I started out as an INFP (Introverted, iNtuitive, Feeling, Perceiving type), though my work, often involving big groups, gradually meant that I became a more of a borderline Introverted/Extraverted type, especially when the situation demands it. So I’d say that your entrepreneur personality can change to some extent in consequence of your activities. There is no one-size fits all for the entrepreneur personality type best suited for venture success. There are business founders, such as Bill Gates, who are known introverts—and who had huge startup success. You may think that a feeling type is not a natural go-getting entrepreneur, but in today’s world, we need more feeling types to come out of the closet in the business world, so that we can experience greater empathy with employees and customers. On the other hand, many could argue that a successful business builder has to be a sensing or thinking type who can get to the facts and not make rash judgements. In reality intuitive or feeling types (the pairs to sensing/thinking) often are natural entrepreneurs because they creativity, imagination and right brain skills take them to answers, without passing ‘go’. My experience in many years of being an entrepreneur, teaching and writing about new venture creation, observing the startup world and the people in it, is that the huge advantage comes not by being one entrepreneur personality type or another, but in being more insightful about yourself and others. If you want to know more about this, then find out about the Jungian personality types instrument, the Myers Briggs Type Indicator® (MBTI), visit the Myers & Briggs Foundation or take the assessment online. You may have encountered it on a management development or leadership program during your corporate career. The purpose of the MBTI personality inventory is to make the theory of psychological types described by Jung, understandable and useful in people’s lives. The essence of the theory is that much seemingly random variation in the behavior is actually quite orderly and consistent, being due to basic differences in the ways individuals tend to use their perception and judgment. The goal of knowing about personality type is to understand and appreciate differences between people, as all 16 types are equal, there is no best type. All can produce startup success! You might also want to look at my post on Entrepreneurial Challenges and How to Confront Them and another on Entrepreneurial Empathy. A founding team will probably work best with complementary MBTI types, rather than all being of the same type. Different functions work best with different types. What is critical is that all the founding team members have a mutual understanding of personality type, and even better an understanding of Myers Briggs. The team will work together most effectively if each person feels able to be open about feelings, without criticism. Being able to acknowledge difference is important. Team members will be drawn to different kinds of energy and activity—best that they are complementary. Founder team balance is better than having members all struggling for the same ground. Self-aware startup teams will do much better than a bunch of bulldozers. You’ll find that team behavior building makes a very wise strategic investment. Before trying to build my own business, I have been a bit skeptical of what seemed like ‘touchy-feely’ stuff. But when I reflected, I had actually indulged in doing just that right from the days as a young army conscript.